Saturday Night Live returned for the first time in the new year with host Sam Rockwell, and man, did this episode deliver. 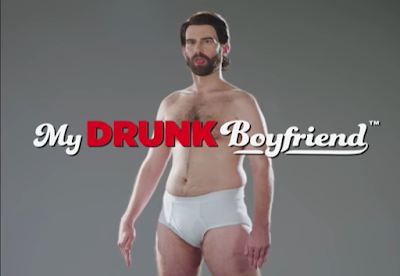 All the sketches had laughs, but the most fantastic was the "My Drunk Boyfriend" commercial. Rockwell and Kyle Mooney both serve as the drunken boyfriend models, spouting phrases like "Cops. I want to watch Cops." and sobbing about deceased relatives you didn't know previously existed. It's a spot on take of drunk cliches and an absolute delight. SNL has been wildly inconsistent all season, but if this is an indication of what's to come, 2018 is gonna be a good year.